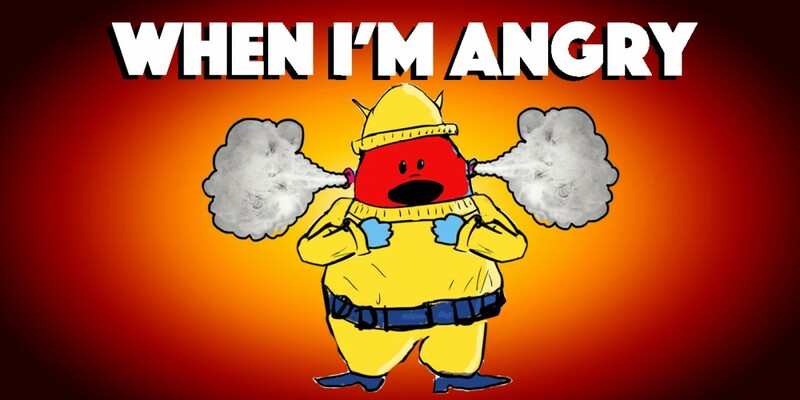 Our feelings song and picture book teaches anger management for kids. We identify our natural reactions when we become angry. Maybe we want to scream, hit, kick or throw something. It’s normal to feel that way! It happens to Annie & Rocco too. It also happens to BTT, our intergalactic friend who is learning to fly. His frustration gets the best of him. They all want to be better. Better than their anger, better than their frustrations and fear. They don’t want to hurt anyone, especially themselves! In this kid’s song & kid’s video, kids learn how to incorporate anger management strategies, like having quiet time, practicing belly breathing, meditating and talking to people they trust in order to deal with emotions. It’s not easy being a kid! Storytime with Annie & Rocco takes a heavy topic and presents it to kids in a light-hearted way. Teaching kids about feelings and emotions is so important for social and emotional growth. We all get angry. It’s normal, it’s healthy. It’s a response to an underlying emotion (frustration, sadness, fear, worry, exhaustion). Let’s face it, kids are quick to feel these ways. It’s healthy. The problem occurs when we are not able to manage the emotion. When we continuously allow our children to habitually react in harmful ways (disrespecting people, yelling, throwing things, creating toxic environments) we are enabling the development of habits that can remain into adulthood. By allowing our kids a safe haven to express their uncontrollable anger and then following it up with a discussion and helpful song & visual when things are calm, we can work together towards helping them build a healthy relationship with their emotions. Identifying our feelings is the first step. Understanding the source of our frustration, sadness, fear and/or worry is critical. Once we are able to do that, we can create a plan for alleviating the primary emotion. In turn, we can learn to develop healthy habits that address our deepest emotions and help us manage the anger that follows. Self-awareness is key. It’s takes time and dedication, but it’s so worth it, for our children, for our own sanity as parents, teachers and caregivers and for humanity! Join us on another learning adventure with Storytime with Annie & Rocco, where books and music help us grow! Valentines Day seems like a perfect time to nurture our little lovers with a lot more love. It seems everywhere you turn, we’re bombarded by news that’s fueled with anger or fear. It gets harder and harder to shield our young children, our budding minds, our future, our hope from these images of intolerance and hate that can leave long lasting impressions on their psyche. Love is not learned. If you’ve spent any time with an infant, you’ve felt that unconditional and accepting love that we are all born with. You’ve felt it and you know that it’s within us all. We’re born with it, but like all forms of life, it doesn’t grow unless its fed and nourished and nurtured and honored. It can be extinguished as we grow older with each event that we find disappointing and hurtful, each occurrence that shatters our naïveté, each situation that breaks our heart. We are creatures of habit and we become what surrounds us. Working with children in kindergarten and preschool, and even toddlers and infants, gives us parents, educators, aunts, uncles, siblings and friends, an important responsibility to nurture the magic of our children’s love. We are responsible to receive it fully and return it tenfold. To be honored by it and respect it. To encourage it and draw from it. To remember that without it, fear and anger and self-loathing and insecurity can easily find its way into their hearts. Talking to our kids about love, singing songs and reading books about love can leave lasting impressions that will hold fast when they grow older and are in situations that may not honor their true spirit. They can draw from an understanding of respect and possibly see the big picture when they might feel stuck in a painful situation that requires every ounce of their being to overcome. They can be that person that stands up for someone that is being humiliated or degraded because they know that they are full of love and they know what it means to love. 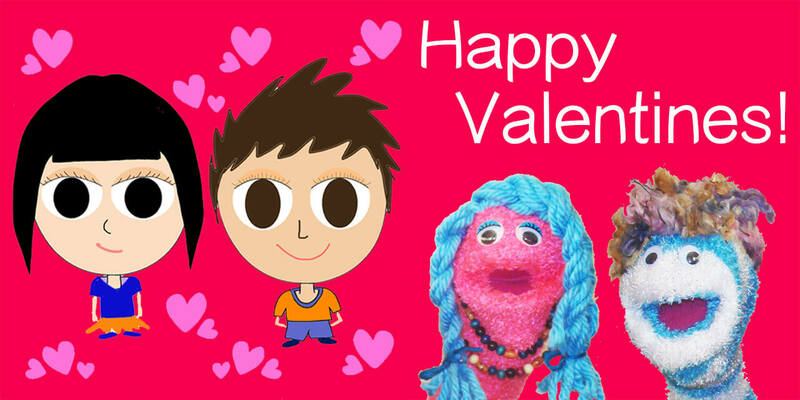 Our Valentines Song is really easy to teach young children. It is a call and response with simple lyrics about people and things that we love and how we show our love by honoring and respecting them. This Valentines Day, while your kids are passing out Valentines, they may be just as excited to give out Valentines as they are to receive them. Valentines Day can be a day to show our friends how much we honor them and appreciate them!